Across Victoria many sporting clubs are presenting their Victoria Police Blue Ribbon Foundation ‘Spirit of Sports’ awards. 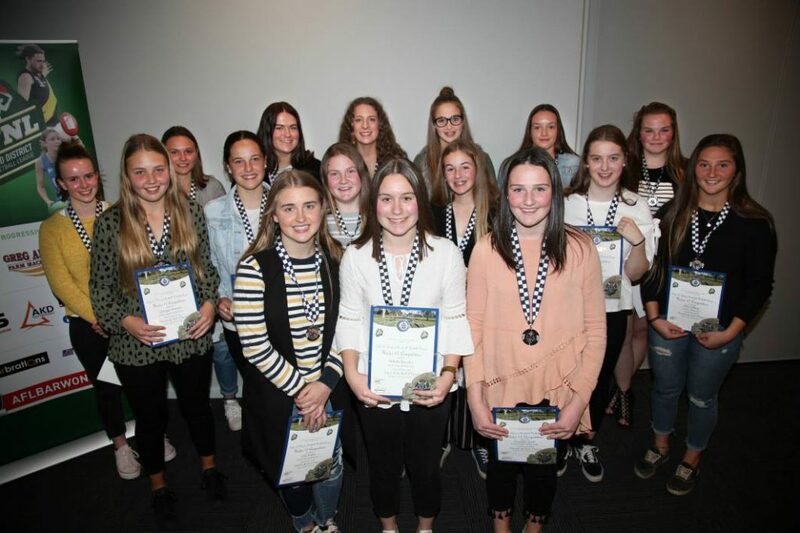 We were honoured to recently attend the Colac District Football and Netball league end of season awards for junior football and netball. 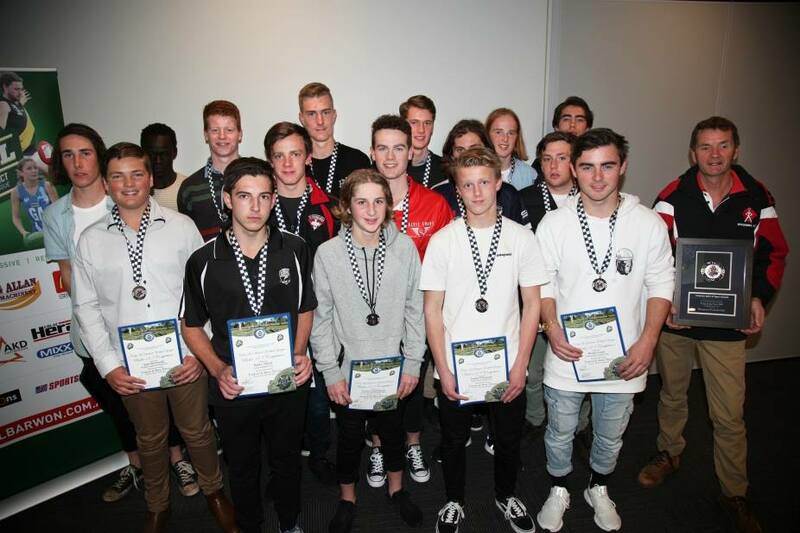 Pictured are the weekly winners of the Blue Ribbon Foundation Spirit of Sport awards for Boys football under 17.5 and girls netball 17.5 & under – who were presented with the medals. The overall Spirit of Sport player of the year winner was Western Eagles Oliver McGuane. The Spirit of Sport Awards Program was created to reward young participants in team sport for sportsmanship, fair play and mutual respect. 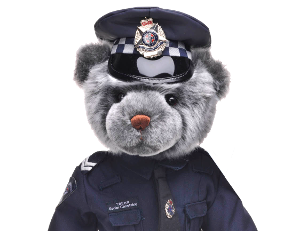 In partnership with various sporting bodies and Victoria Police the program is widely supported in football and netball throughout country Victoria. We congratulate these winners and others from across Victoria. Pics provided by the Colac Herald. 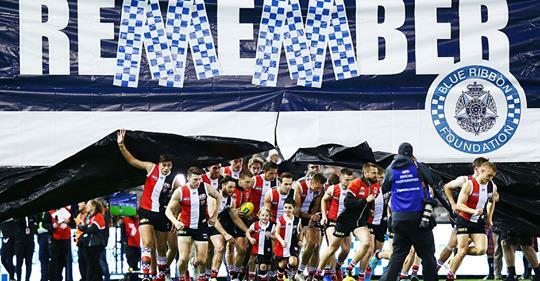 Thank you to everyone that supported the AFL Blue Ribbon Cup- St Kilda Football Club, Hawthorn Football Club, the Silk & Miller families, the Tynan & Eyre families, the footy fans, Victoria Police and our wonderful volunteers. The donations will help us to fund a new lifesaving service at Box Hill Hospital, Eastern Health. This new service will be led by Eastern Health’s Cardiology and Intensive Care Unit teams. The new service will be dedicated to all 159 police officers who have died in the line of duty.